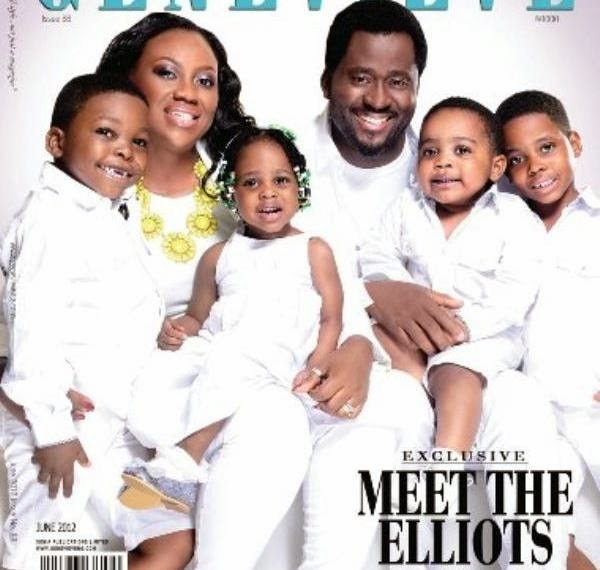 Famous actor, Desmond Elliot has relocated to United State with his wife and children. The relocation was not just because of the luxury and fun abroad but because the wonderful father wants to give his children a better education. Though they left few months ago but most people thought it was just for a vacation, meanwhile a reliable source confirmed recently that the Elliot's won't be coming anytime soon. However another source has this to say about their relocation; 'as per the call of nature between husband and wife, Desmond, has resolved not to go about sowing wild oaths all over town. "you know Desmond got married as a virgin. he will be holding on until he goes to see his wife or the woman comes to visit. He is not randy at all', the source said. Awww...this is so lovely...such a wonderful man!!!! !